Chasing Cottons: More on Batting... with Amy. Quilting and Blogs go hand in hand. It's so fun being able to share your creation with a world of fellow quilters who 'get' quilting. Hi, my name is Amy Smart and I blog about my quilting fetish at Diary of a Quilter. 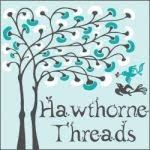 I have loved finding other like-minded quilters (and fabric hoarders) of all ages in the blogosphere. I'm a mom to 4 youngsters who like to keep me on my toes. They and my husband are all extremely patient with my hobby and have learned to live amidst piles of fabric and half-finished projects in their lives. 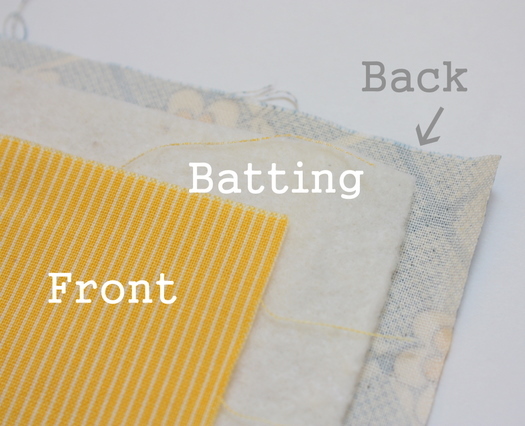 Today Rebecca has asked me to share some thoughts on batting/wadding. Ever been overwhelmed by the variety of batting (or wadding) options available to quilt stores? Rebecca has already done a very thorough job explaining the variety of batting/wadding options available. Sometimes choice is good, but sometimes the overwhelming number of choices can be paralyzing. So I thought today we'd discuss a few of the pros and cons of the different choices. And feel free to weigh-in. I love when you do because I haven't tried every product or technique. For example, has anyone out there used the Bamboo batting? What did you think? Basically the definition of a quilt is a blanket made of a top (front) and back with a layer of batting sandwiched in between and held together by some kind of stitching through all three layers. The two most relevant factors in choosing a batting are Loft and Fibers. First off – Loft. This means how thick or thin your batting is. Fiber defines what the batting is made of. 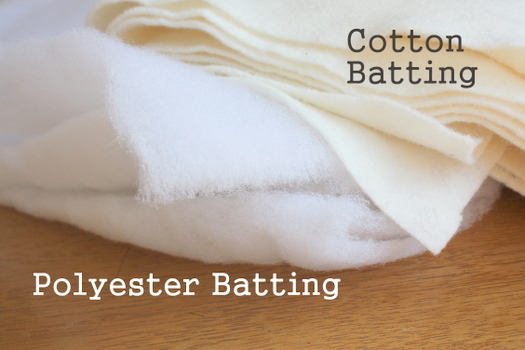 The three most common types of quilt batting are Polyester, 100% Cotton, and Cotton/Poly Blend and each has it’s own pros and cons. (Wool and Silk are other options that are wonderful, but usually a lot pricier.) Another recent option is batting made from Bamboo. To be honest I haven't used Bamboo batting, but from all reviews it sounds fabulous so I need to give it a try. Polyester - Less expensive, better for hand-quilting (if it's low loft), doesn’t need to be quilted as closely together. Tends to shift when not quilted closely and ‘beard’ (which means the polyester fibers migrate through the fabric to the outside of the quilt). Cotton blend (usually 80% cotton/20% polyester). Very similar to the cotton option, but is less-expensive and doesn’t shrink as much. Good for machine quilting. This is what I use most often, mainly because of the price difference. Also I think it's a little lighter-weight than 100% Cotton, so may be easier to maneuver if you are quilting a large quilt and lighter for the finished quilt. Wool - generally low loft, but heavier weight and extremely warm. Good way to make a thin quilt extra warm. Good for machine quilting and hand quilting (I've heard it's like quilting through butter). More expensive option. Bamboo - From all reviews I've heard sounds like a great choice and eco-friendly. Slightly more expensive that cotton/poly option but less expensive than wool. Usually low loft so it's good for hand or machine quilting. Washes and holds shape well, although I have heard that bearding may be an issue. Anyone have that experience? I need to give this one a try myself. Batting can be purchased by individual size, or big sewing stores will also let you buy it by the yard. Batting goes on sale often at the big box stores. I always stock up then – or use those 40% off coupons. And save those batting scraps. It’s very easy to whip-stitch (largish) scraps together. Or you can use your smaller scraps to make an easy quilt-as-you go table runner! Size: you want your batting to be slightly larger than your quilt top (front) and slightly smaller than your quilt back. In other words the backing should be the biggest. 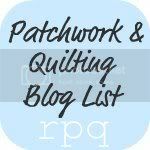 I'm so excited that Rebecca has put together such a thorough list of beginning quilting resources in one location. She asked me to mention a beginning quilting series that I put together last fall so I'll add it here because sometimes a variety of explanations can help solidify learning a new technique or hobby. 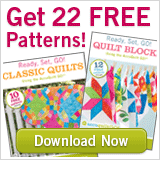 I have other basic quilting and sewing tutorials available as well as a pattern shop. Like bamboo for machine quilting. Very soft and silky, great drape, and washes well. I recently bought it for a handquilting project ...horrible bearding! I will buy it again, but only for machine quilting. Love the break down you have provided. I usually try to use 100% Cotton batting for my projects, but I only machine quilt. Rheumatoid Arthritis makes hand quilting out of the question. I love the photo of the batting in the shop - I've never seen so much in one place. Where is that shop? I must go there for my holidays! Great Post Amy! While at Spring Market I got to hold one of Tula Pinks quilts with silk batting inside. Oh. My. Amazingness. It was the softest thing ever. It just crushed up in your hand like it was a piece of much loved and washed cotton. Amazing stuff I tell you what, and spendy, but it was so soft.... weeks later I am still thinking about how it felt! Thanks again for more fab advice and discussion on batting! Its often neglected as its much prettier to post pictures of fabric etc, but these posts are really appreciated by those of us who come here for advice as well as inspiration! I've used soft & bright Poly batting, because it was less expensive. I've not seen the blend you mentioned in our store...though I'd prefer it, because in my opinion, while less expensive, the Poly is thick and stiff. I'm not totally happy with it and don't know that anything more than my small budget will induce me to buy it again! Where do you get your blended variety? Yes! I really like bamboo batting, haven't washed a quilt in which I've used it, though. It's so light and airy. Thank you all for so generously sharing your knowledge. I've used mostly cotton for batting. I tried the kind made from recycled plastic bottles once and it worked out surprisingly good. It's always interesting to try out new stuff! This is a great post. Just to add a couple of options I use regularly: flannel and fleece. Flannel is a little thinner than most battings, but crinkles well and creates great drape. It's ideal for quilts that don't need to be heavy as well quilts that will be moved a lot (picnic quilts). Fleece is thicker than regular batting and fantastic for quilts that will be used to keep you (or someone else) warm. It can be a little tougher to quilt, just because it's thick, but great in the final product. Thanks so much for the batting tutorial. I have just been using warm and natural becuase I wasn't sure how other batting would be. Your and Amy's tutorials have really helped shed some light on it for me! Is there a certain type of bamboo batting you have been using? I want to give it a try, but can't decide on a brand. I have used the 80/20 and recently the Mountain Mist Cream Rose 100% cotton. Its very nice so bought 3 rolls. I will try the bamboo and silk soon. Thank you this information and the responses. Hi Amy, thanks for the batting tips. I have yet to try bamboo or silk but I have a 50% off coupon to use up and may just give it a shot today. Silk must be one of the specialty items to find at a LQS rather than at a big box. The one question I have left is why will a batting beard when hand quilted but not machine quilted or vice versa?